Peter Tosh exploded onto the world stage as an activist and solo artist with his 1976 release, Legalize It! Tosh worked to promote the legalization of herb, equal rights, and to expand Jamaica’s cultural and musical influence. Peter was no stranger to oppression in his homeland and knew the fight for legalization and equal rights well. His music served as a catalyst for a generation to fight for what they believed in. Blessed Earthstrong to legendary Rock n' Roll photographer, Richard E. Aaron! 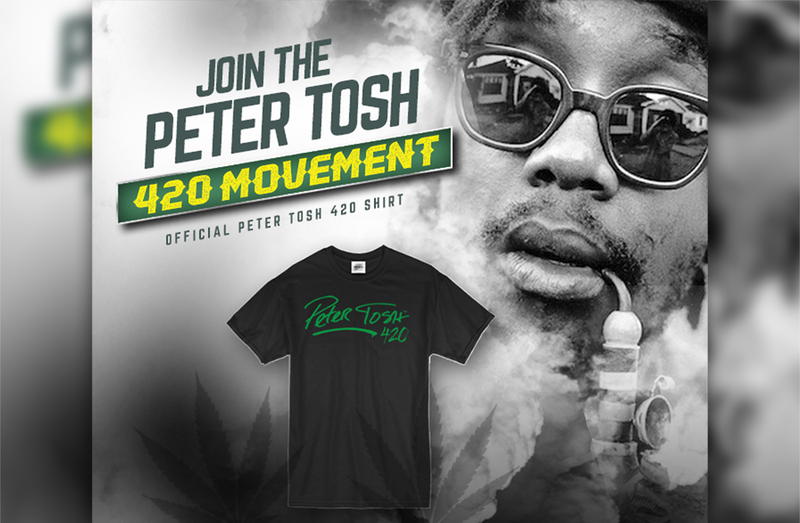 Bredren & sistren, today is the last day to receive 20% off all Tosh gear in the official store when you use promo code TOSH420. Happy Peter Tosh Day from @mrvegasmusic!!! RESPECT🙌🏾 Continue the celebration of Peter Tosh Day by listening to this collection of his greatest hits on Spotify. Hit up the IG Story for the link.